Broadcasting live from Mandurah Suzuki! This Saturday be at Mandurah Suzuki on Pinjarra Road for their massive test drive day! With prizes, games, a free BBQ, and the Coast Crew there between 9am and 1pm, you won’t want to miss this great day. And simply by taking any car in the Suzuki range for a test drive, you have the chance to win a brand new Suzuki! Book your test drive before Saturday's "Test Drive Day", for your chance to win. 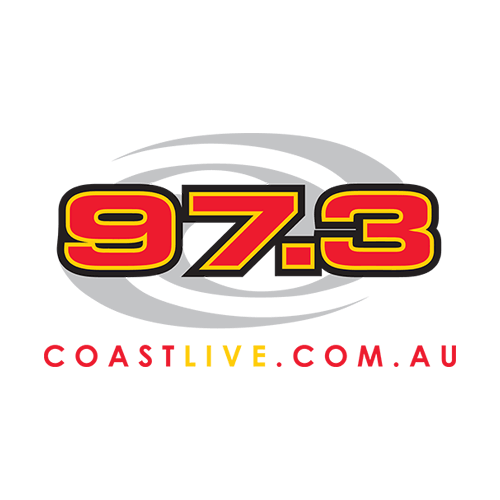 Coast FM live between 9am and 1pm this Saturday for the massive Suzuki test drive day at Mandurah Suzuki Pinjarra Road and only on 973 Coast FM. 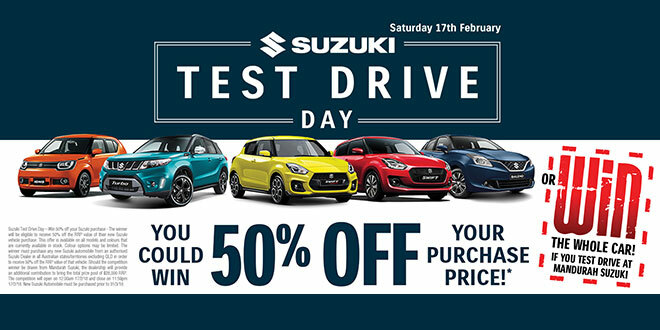 Suzuki Test Drive Day – Win 50% off your Suzuki purchase - The winner will be eligible to receive 50% off the RRP value of their new Suzuki vehicle purchase. This offer is available on all models and colours that are currently available in stock. Colour options may be limited. 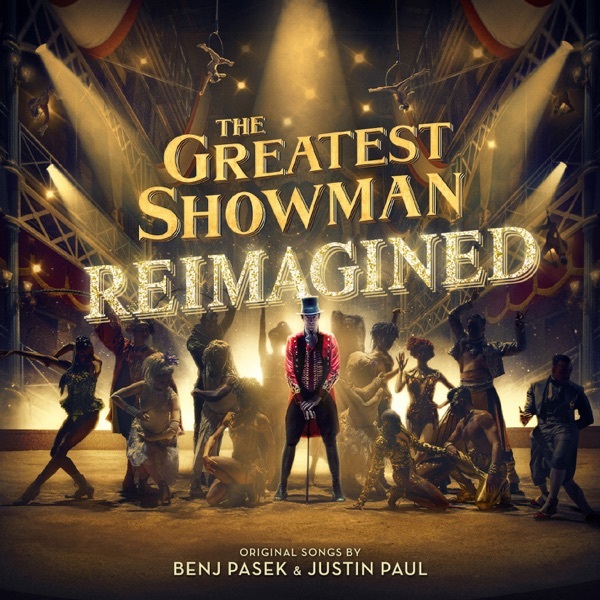 The winner must purchase any new Suzuki automobile from an authorised Suzuki Dealer in all Australian states/territories excluding QLD in order to receive 50% off the RRP value of that vehicle. Should the competition winner be drawn from Mandurah Suzuki, the dealership will provide an additional contribution to bring the total prize pool of $28,000 RRP. The competition will open on 12:00am 17/2/18 and close on 11:59pm 17/2/18. Winner drawn 20/2/18. New Suzuki Automobile must be purchased prior to 31/3/18.